In recent years, as New York City rents have skyrocketed, independently owned retail stores have found it increasingly more difficult to survive, leaving the large national chains to encroach the city and begin to dominate the urban landscape. Places too large to conceivably find adequate space and afford operations have done just that - Home Depot on 23rd Street is a good example, along with Filene's Basement and Kmart at Astor Place. On the side streets where the foot traffic is light and the shop spaces are too small to develop, small operations continue to exist - places like Joe's Dairy, Alidoro and Vision of Tibet. Some that had the foresight to buy their space now have the luxury of remaining as long as they like or selling their property for a windfall profit. There are some independents, however, that have grown and/or expanded just on the merit of their product lines and by reinventing themselves and keeping pace with the times - e.g. B&H Photo and Astor Hair. There are a few where astute business management and other factors have given them the ability to dodge the slings and arrows of outrageous misfortune - Pearl Paint, J&R Music World, Canal Rubber, Dean & Delucca. Kate's Paperie is one of these. The product line is such that virtually any shopper can find something of use or interest. And the nature of many of their products to be gift oriented makes this place a perennial favorite. 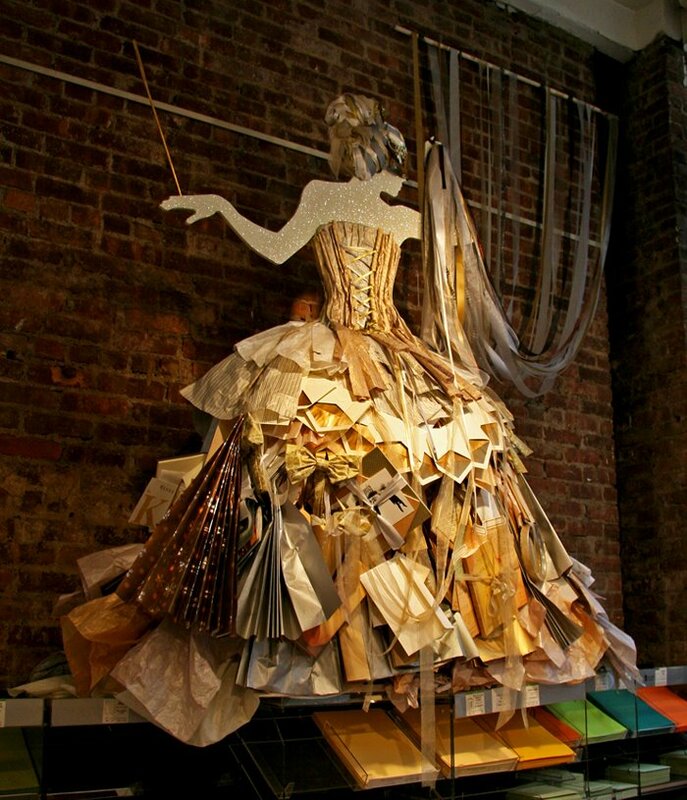 Kate's Paperie was founded in 1988 by Joe Barriero and Leonard Flax - the shop was named after Flax's wife. Leonard Flax is also the founder of Sam Flax Inc., a leading art supply retail chain. Kate's first location was at 8 West 13th Street near Parsons School of Design. They now have 4 Manhattan locations and one in Greenwich, Connecticut. Kate's carries thousands of papers from 40 countries and offers a vast collection of more than 1,500 couture-quality ribbons from around the world - see their website here. They are one of those places that you not find elsewhere - a true New York City landmark, known to any seasoned city dweller.